Get to know the “HEATSTROKE”! ◎ What led us to this website? Extreme heat alerts on extremely hot days are not uncommon in summer in Japan anymore. In hundred-degree weather, heatstroke is supposed to have a disturbing influence on Japanese people. However many of them somehow think of it as "someone else’s problem" regardless of the fact that there are hundreds of the victims dying of heatstroke a year! This has motivated us to begin our activity. In the spring of 2018, we found our interests in heatstroke. Heatstroke has been our top concern since then, however, we got something but the key message which is “heatstroke is dangerous so everyone has to pay attention to it” at the very beginning.We had no exact ideas about what we can do to cope with it. It was clear that heatstroke is a timely topic, but there was not much information for us to where to begin dealing with the problem. Thus, our first task was to raise our own awareness of hearstroke. First, we started with gathering information about heatstroke and during the process, we set up two hypotheses. One is that in order to reduce the increasing number of people who have suffered from heatstroke, we should come up with various strategies targeting people of various ages in various regions. The other is that while the number of foreign visitors in Japan is on the rise, little is known about the heatstroke patients from foreign countries. It is necessary to investigate the specific cause and effect relationship particularly for those patients. We decided to approach the heatstroke from the viewpoint of high school students, and take action to provide people with different needs with opportunities to study and think about heatstroke based on our research outcome and analysis. We created an information dissemination website with a wealth of information about heatstroke in Japan and out. The aim is to raise the knowledge and the awareness about heatstroke and to expand the antenna of interest. “What heatstroke makes you connect with?” ? 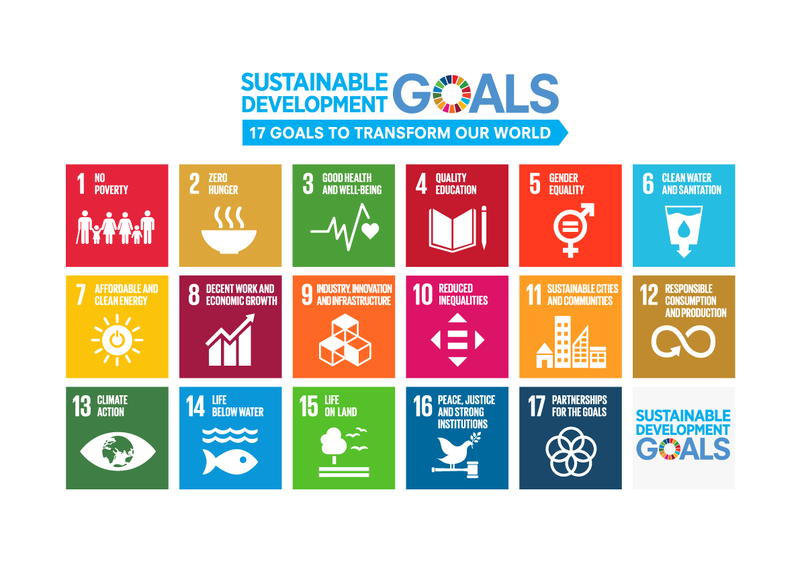 They are Sustainable Development Goals, called SDGs which were adopted at the United Nations summit in September 2015, subsequent to the Millennium Development Goals (MDGs) formulated in 2001. It is comprised of 17 major goals and concrete 169 targets to realize a sustainable world. Both developed and developing countries are obligate to be engaged in a variety of initiatives to achieve the goals by 2030. Among 17 goals, we focused on one topic above. 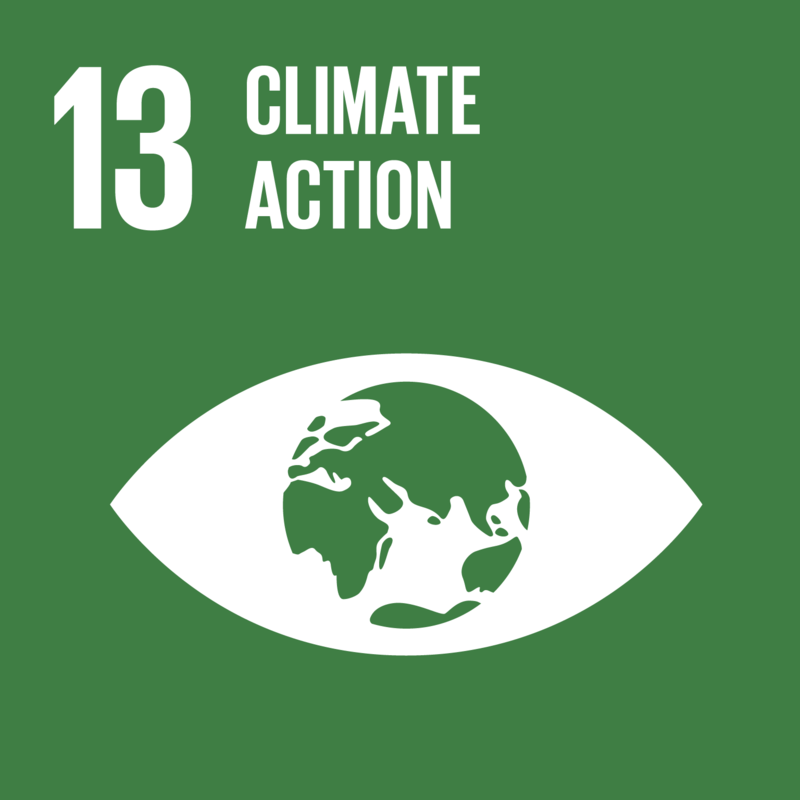 This is the 13 goal of SDGs, “climate action". Climate change is a global challenge that has affected everyone around the world and required solutions with the cooperation at the international level. We got interested in solving this problem. What is the most effective way for solving this? We casted a spotlight on temperature which is problematic in terms of global warming these days. 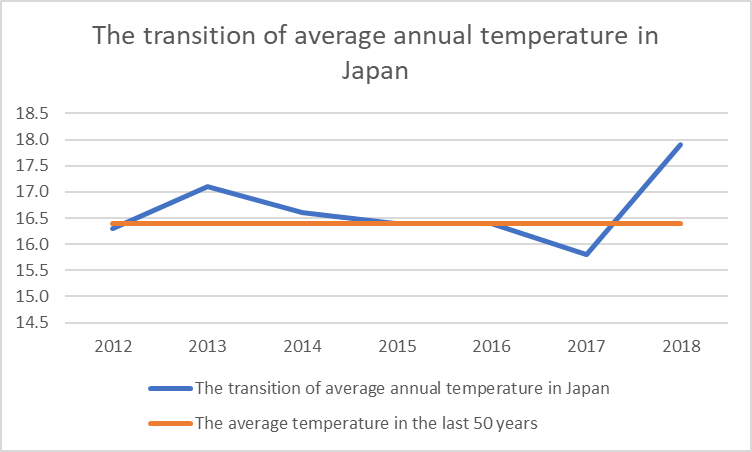 This is a graph of the Japan’s average temperature by year. The average tempearature in 2018 is higher than that in 2012 by 1.5 ℃. One of the causes of this temperature rise is climate change, corresponded to SDGs 13, caused by the activities by human beings, such as global warming and the heat island phenomenon in urban areas. This graph shows the the number of heatstroke patients by EMS in Japan. More and more people get heatstoroke and are conveyed by EMS. 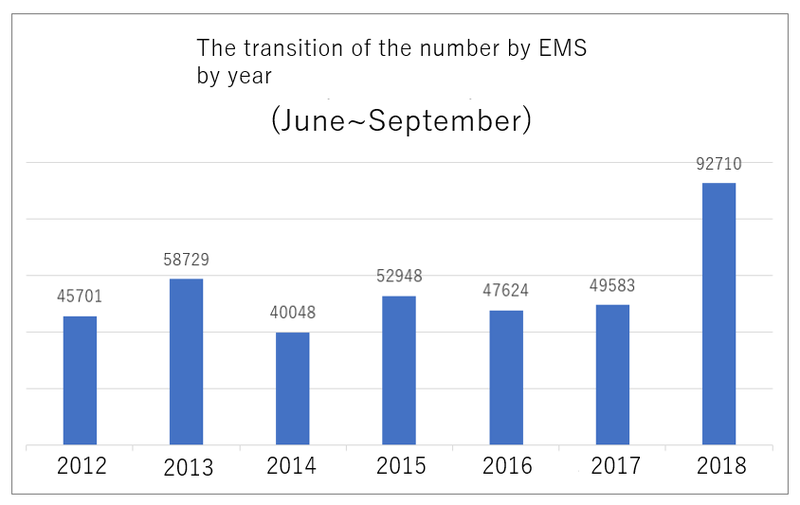 From the two graphs above, the transition of the annual average temperature and the transition of the number of heatstroke patients by EMS have undergone similar changes. As a result, we came to think that we could approach the immediate challenge of increasing the number of heatstroke patients and consider the problems of climate change, such as heat island phenomenon and global warming. In addition, we should be able to contribute to solve global issues, SDGs, by focusing on some specific problems that are easy for Japanese people to tackle, such as heatstroke.